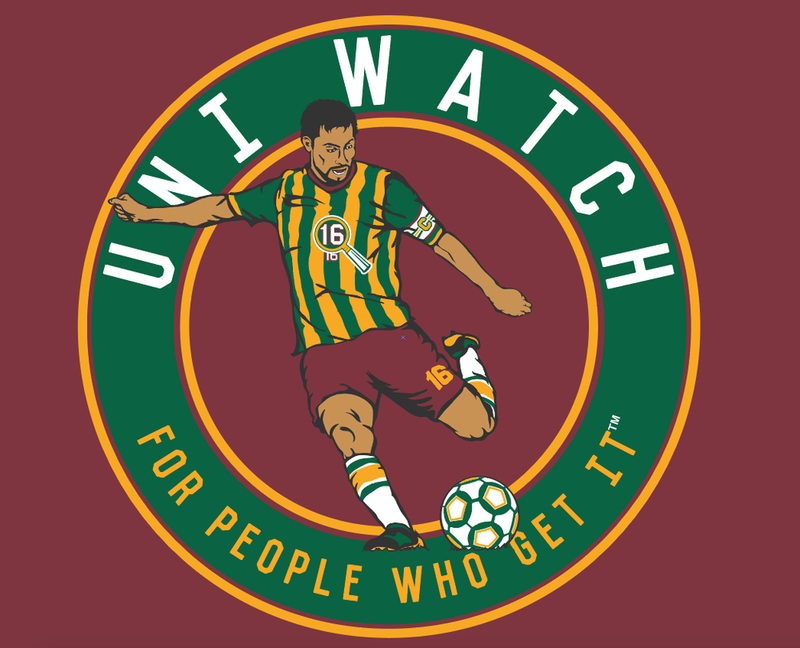 The Uni Watch T-Shirt Club’s fourth limited-edition release of 2016 is our soccer design. Our player looks sharp in his Uni Watch colors, Argentina-style stripes, and captain's armband. He definitely Gets It™! Scroll below for a clearer version of the design. 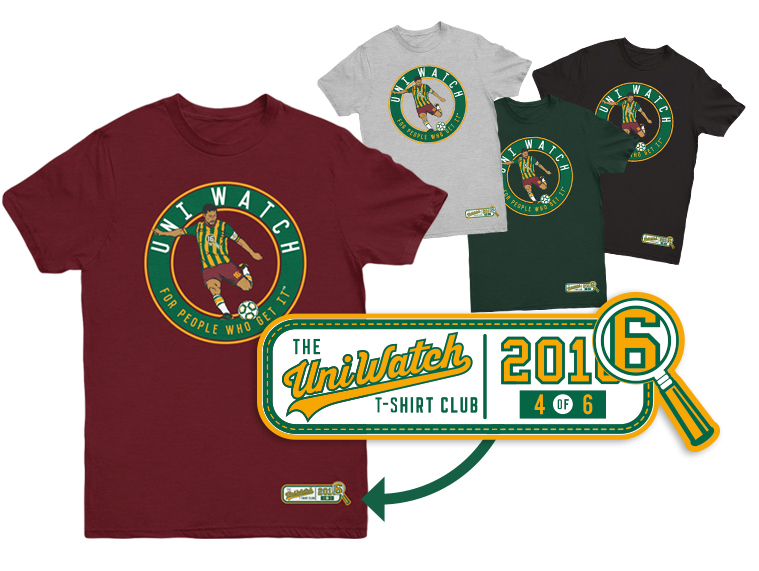 Like all of our 2016 shirts, this one has our exclusive jock tag graphic toward the bottom-left hemline.